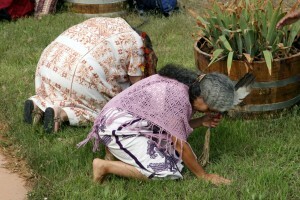 The International Council of Thirteen Indigenous Grandmothers, a group of women who represent a global alliance of prayer, education and healing for Mother Earth, is featured in a documentary called “For the Next 7 Generations.” The documentary, which took four years to make, is the story of these thirteen women coming together and their work to protect diverse cultures: lands, medicines, language and ceremonial ways of prayer, and ways to raise children. The film was shot in many locations across the globe – from Africa to the Amazon, Alaska to Nicaragua. 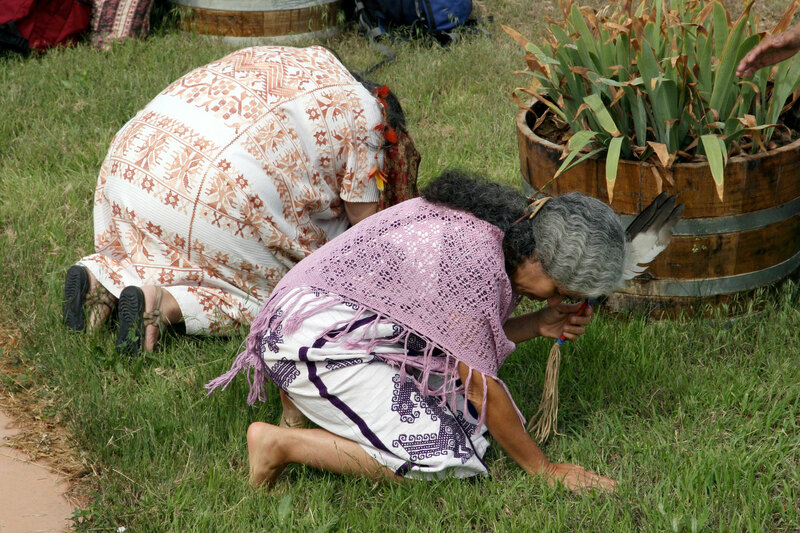 Originating from all four corners of the world, these thirteen elders, shamans and medicine women first came together in 2004 at a peace gathering. Moved by their concern for our planet, they formed an alliance for a peaceful and sustainable planet. They have since traveled the world holding council and ceremony. Their wisdom, shared with simple clarity, shines through the confusion of these times. Two of the thirteen grandmothers, Agnes Pilgrim Baker from Oregon and Rita Long Visitor Holy Dance from South Dakota have embarked on a 25 city tour and will come to Berkeley on Thursday, April 21 at 7 pm for a screening of the documentary at the California Theater at 7 p.m and then they’ll be in Oakland on Friday, April 22 for a day of teaching at Oakland’s Humanist Hall (10 am – 3 pm). These events are brought to you by the Center for Sacred Studies in Sonora, California and Surething Productions in Santa Cruz, California; and are sponsored in part by the Shambhala Center of San Francisco. To see a trailer of the movie, purchase event tickets, and find more information about these events, please visit http://www.grandmotherscouncil.org/events/upcoming-events.